Achieve a new standard in stunning landscape shots and outstanding bokeh with this one-of-a-kind wide-angle prime lens, the AF-S NIKKOR 24mm f/1.8G ED. 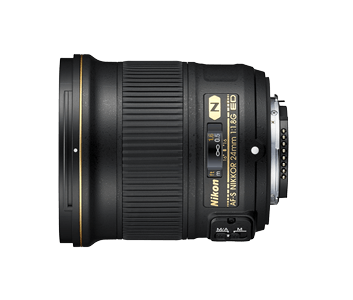 Featuring a focal length of 24mm*1 and a fixed maximum aperture of f/1.8, this unique prime lens is designed to be both light and manoeuvrable. Incorporating Nano Crystal Coat technology with aspherical lens and Extra-low Dispersion glass elements, the AF-S NIKKOR 24mm f/1.8G ED redefines the expectations of uncompromising image quality for wide-angle photography. From dusk till dawn, day or night, the FX-format compatible AF-S NIKKOR 24mm f/1.8G ED offers the versatility to capture photos ranging from immaculate sweeping landscapes to low-light indoor scenes. 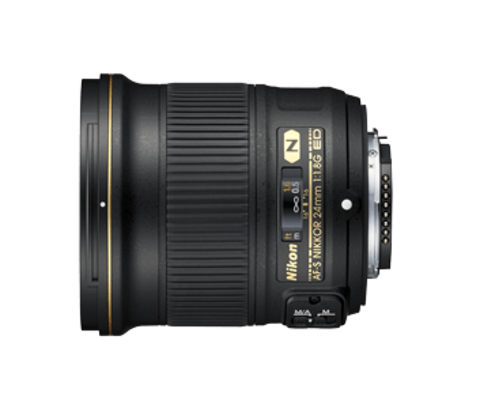 Featuring a 24mm*1 focal length and f/1.8 maximum aperture for exquisite bokeh, this wide-angle prime lens is capable of focusing from a minimum focus distance of approximately 23cm, shorter than other NIKKOR 24mm focal length lenses. Expect nothing less than stunningly sharp and accurate imagery with every single shot. Bringing together Nano Crystal Coat technology, aspherical lens and Extra-low Dispersion glass elements, this prime lens achieves high optical performance with minimal ghosting and chromatic aberration. Revel in the freedom and flexibility to travel and shoot with ease, with the 24mm prime lens that’s smaller and lighter than ever before. 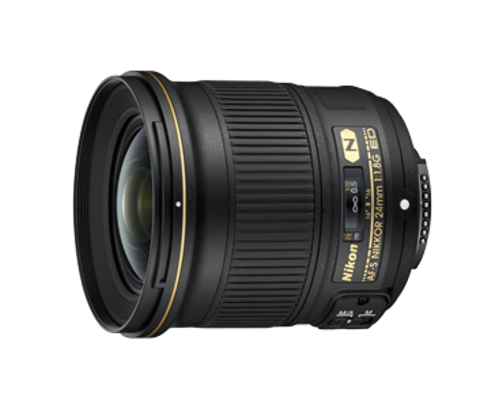 Weighing at approximately 355g with a length of 83mm*2, the compact and lightweight AF-S NIKKOR 24mm f/1.8G ED delivers absolute mobility without compromising on image quality. *1 When attached to a DX-format digital SLR, the angle of view is equivalent to that of a lens with a focal length of 36mm in FX/35mm format. *2 Based on the distance from the camera’s lens-mount flange. 1. Nikon reserves the right to change the specifications of the hardware described in these specifications at any time and without prior notice.